Lip dryness can be caused in any weather cause it is generally due to the deficiency of vit B,folic acid ,water and iron.So supplement your diet with folic acid tablets,plenty of water and juices. 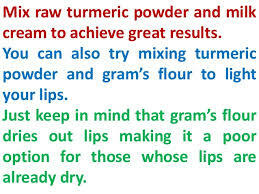 Dont lick your lips as it will worsen the condition and make them dark in colour. Apply good quality lip balms. Take care of applying any allergic component to your lips which can be present in your lipsticks or mouthwashes. Apply aloevera juice mixed with honey on your lips for healing them and giving them that pink shine. Milk creme applied on lips is also a great ointment. Tomato pulp or cucumber juice brings moisture and add fullness to lips. Eat green leafy vegetables as it will fasten healing process. Apply glycerin or castor oil on lips. Take rose-petals dry in shade and then crush them.Add to it milk and make a paste and apply to make them rosy red. Dark lips are caused by deficiency of vitamins or heredity or exposure to sun. Applying a good sunscreen before moving out in sun and indoors will take care of the situation.Yes lips also need to be protected from sun so apply lip balm or lipsticks which has sunscreen in them. Lime juice,honey and glycerine applied for several weeks helps in lightening the color. Paste made of lemon juice since it is a natural bleaching agent,curd and honey applied for half an hour will work! Milk and salt applied on lips also bleaches the color .Apply for 15 min and then wash.
Beetroot juice mixed with glycerin is a perfect cure! Also use carrot juice and coriander juice. Stop smoking ,drinking a lot of tea-as they are the potential disorders for darkening the lips! Almond oil applied overnight will help giving moisture and lost nutrients to the lips. Apply coconut milk to the lips and skin .Gives instant glow and color. Mix sugar and oats and rub on skin to take out dead skin.Then apply moisturizing lotion. Before brushing or after brushing scrub the lips with toothbrush softly.This removes the dead skin from lips. Brown sugar and honey mixed and applied on skin works for softness and improvement of color. Hey i read all lip care points. i think this very suggestion. thanks for the lip care advice and sharing this post!!!!!!! I absolutely love your blog and find almost all of your post’s to be what precisely I’m looking for. Would you offer guest writers to write content to suit your needs? I wouldn’t mind writing a post or elaborating on a few of the subjects you write related to here. Again, awesome site!